A beauty look I’ll definitely be trying this season comes from Toronto Fashion Week, courtesy of Maybelline Canada’s Grace Lee. Mackage presented a predominantly black and white collection, so a little flash of colour provided a delightful balance. 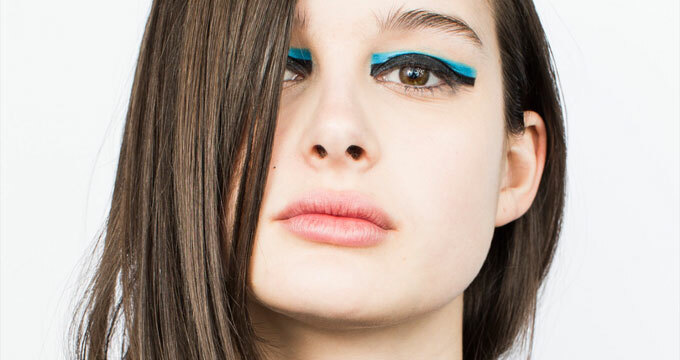 This dual eyeliner was inspired by a blue iceberg, a familiar sight in Northern hemisphere. To achieve a “frosted” complexion, Lee prepped the face with Maybelline Face Studio Master Prime in Blur + Illuminate, using the primer in lieu of a highlighter. 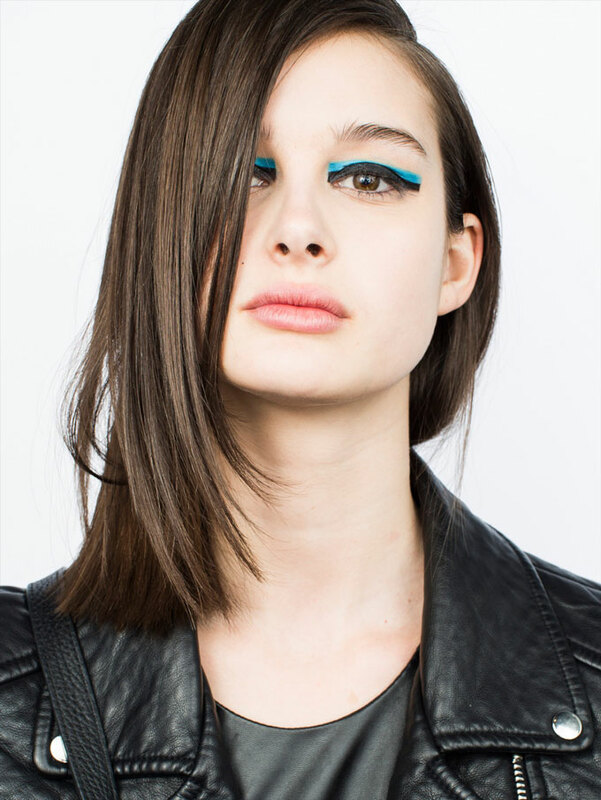 Using its wide brush as guide, she applied Maybelline Eye Studio Master Graphic Liquid Liner with a Cleopatra-like gusto, and then filled in Maybelline Colour Show Kohl Liner in Turquoise Flash over top, to create a rectangle shape. Lee forewent mascara, keeping the focus on the geometric line. She finished off the look with a dab of Maybelline Baby Lips in Quenched. Would you try this look? Isn’t it divine? Photo by Norman Wong, courtesy of Maybelline Canada.